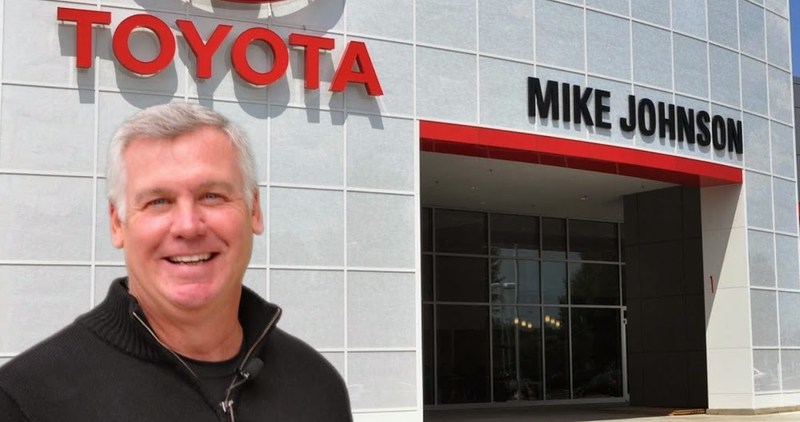 Read why you should shop Mike Johnson's Hickory Toyota today! Mike Johnson's Hickory Toyota is a new and used Toyota dealership in Hickory, NC, that provides competitive price tags and practical special offers, a high level of customer service, and knowledgeable sales associates. At Mike Johnson's Hickory Toyota, we love the car business. The Freedom we have in America has made transportation a very personal thing. We can travel from state to state and be free. We are proud to be in the car business. The people in this business are often community leaders and are family oriented. The people love to come to work every day and do the right thing for people. Visit our convenient location near Lincolnton and Morganton for a personal introduction to any of our new Toyota models or visit our user-friendly website to discover more about the new Toyota Tacoma! Our new and used Toyota dealership near Morganton, NC has a range of shiny new Toyota models to enjoy! Take to one of our sales associates about the warranty options, connected features, and safety systems you're looking for. We'll showcase a selection of competitively priced options that match your search criteria and can even help you trade-in your current vehicle. Discover the impressive used cars for sale in Hickory, NC our Toyota dealership stocks. We don't only offer Toyota vehicles for sale. We have a wide selection of vehicle makes and models. Regardless of the used car, truck, SUV, or Hybrid you're looking for, you'll find a vehicle to match at Mike Johnson's Hickory Toyota. While you're here, we can tell you more about the rigorous multi-point inspection process for reliability and safety we put our inventory through. Get pre-approved for an auto loan near Lincolnton at Mike Johnson's Hickory Toyota. Speak with our Finance associates about financing your Toyota today! You can start the process today by filling out our secure, online loan application. No matter what your auto loan needs may be, our new and used Toyota dealership in Hickory, NC, can assist. Ensure your new Toyota Camry is running as smoothly as the day you bought it. The next time you need an Affordable oil change in Hickory, NC, brake inspection, tire rotation or any other automotive service, bring your vehicle to our service department today! You can schedule your next Toyota service right here on our website or call us directly. Our Toyota Certified and ASE mechanics will only use genuine Toyota parts and accessories when servicing your Toyota. Mike Johnson has a passion for the car business. He loves seeing young people get their start in the work force at his dealership. Let Mike Johnson himself tell you why he loves the car business. Mike Johnson's Hickory Toyota is excited to cater to all your automotive needs. We love to see people drive off in their brand new car. It's satisfying. So visit us for new and used Toyotas, auto loans, and car repair in Hickory, NC. We hope to see you soon.